Any one know of a good person to install a new headliner in a 66 beetle? I don't think I want to tackle it myself. It's not hard at all...I've put them into Bugs and Squarebacks. And contrary to common thought, large headliners are easier to get taunt, than small models! Just put it in place using the support rods. Buy lots of those black paper clips ( in different sizes to account for places where the body has curves[small clips], and long straight stretches[large clips]). Then use some really good glue (3M weatherstrip glue for example). Where do you like to get your headliners? Are TMI brand ok? robwalk45 wrote: Where do you like to get your headliners? Are TMI brand ok? TMI is indeed the brand I'd recommend. That's all I've ever used...There may be better ones, but I don't know that for a fact. Thanks for the info. are you going to the show in Yukon to day? robwalk45 wrote: Thanks for the info. are you going to the show in Yukon to day? 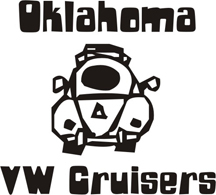 I had intended to, but it was raining 1/2" of rain every 30 minutes out here in Hitchcock and the weather looked like it was headed to El Reno/Yukon area, so I didn't go...It's a long drive to go to a rained out VW show...At least that's my logic and I'm sticking to it!! !